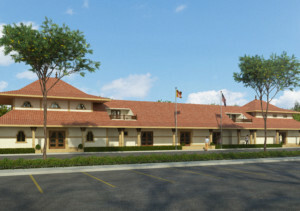 ABS Temple and Meditation Center is fortunate to have a one-acre property which was purchased with the generous donations of our community members and well-wishers. 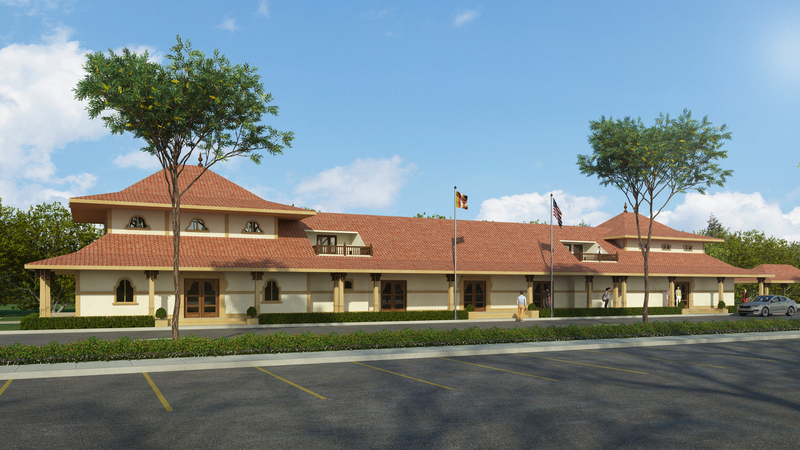 Currently, less than 5% of the property is being used, which includes the Buddha-Meditation Hall, monks’ living quarters, Bodhi Tree shrine and Maithri Bodhisattva Statue, which leaves 95% of the land available for construction of the new building and a parking lot. It is important to note that the current monks’ living quarters will not be removed and will be used for the visitors who attend weekend and week-long meditation retreats. However, the Buddha-Meditation Hall will be removed, as it is in poor structural condition. ABS received a Conditional Use Permit from the City of West Sacramento to develop our one-acre property into a full-fledged Temple and Meditation Center. The building code considers a place of worship like our temple to be a commercial building. In order to comply with the law, it is necessary to follow all federal, state and city codes. Considering all code requirements, a reputed architect, who specializes in commercial buildings, has completed comprehensive plans that are time-consuming and costly. These plans, that include civil, structural, electrical, plumbing, mechanical and landscaping details, have been submitted to the City of West Sacramento to obtain the required building permit. We have selected a contractor who is capable of completing the entire process of building the temple. The new building will consist of two floors. The first floor, 6,245 sq. ft., will include the Buddha-Meditation Hall, a multi-purpose hall, reception-lobby, classrooms, kitchen, public restrooms and a veranda. The second floor, 1,990 sq. ft., will be the monks’ residence. The estimated cost of the building, the parking lot, and landscaping is approximately $2.5-3 million, which includes the cost to comply with federal, state and city code requirements that are necessary for a public assembly building. 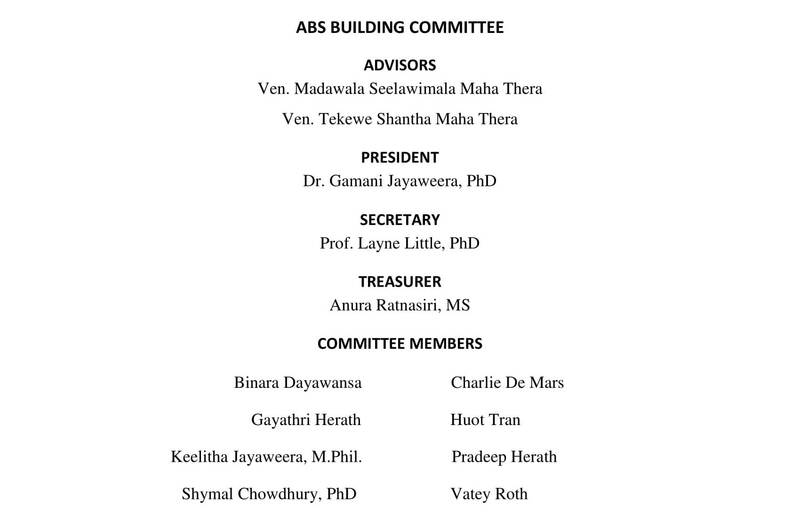 Next Article ABS is cordially inviting you to attend 2019 Kathina Ceremony in October on Saturday the 26th and Sunday the 27th at the ABS Temple at 423 Glide Avenue, West Sacramento. Thank you!